I had hoped to get this project finished last weekend. With out-of-town family coming in yesterday, Dirt Road Girl gave me the nudge I needed. Why is your kitchen table the most important piece of furniture in your house? 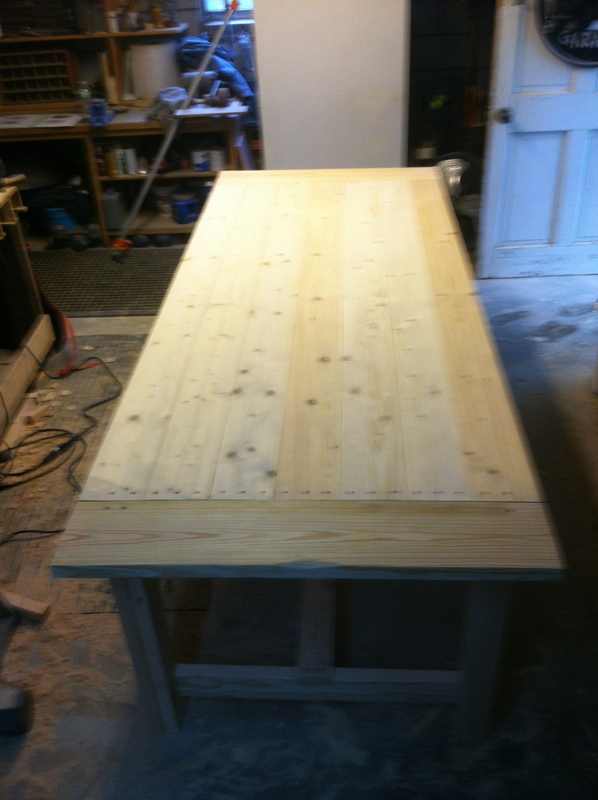 This is the last picture y’all saw of the table assembled, but unfinished. All it needed was stain and 3 coats of sealer applied. That process took more time than actually building the table. DRG picked out a stain that would give it a weathered look. After testing it on a scrap piece of wood, we decided against it. It had a blue tint to it. Not our style. Getting it into the house was the challenge. With a combination of dollies, ramps, and one blood blister, DRG and I moved it to its proper place. We used an incline plane to navigate steps – and save energy and back pain. My daddy taught me to work smarter, not harder. I estimate a total of 15 hours to complete this project from the first saw cut to the last brush of polyurethane. We invested a total of $150.00 in materials. The finished product is a priceless family heirloom. Last night we broke bread for the first time on our new family table with DRG’s cousin and wife we haven’t seen in years. Caroline, you’re right. We spent the whole evening catching up around the most important piece of furniture in our house. 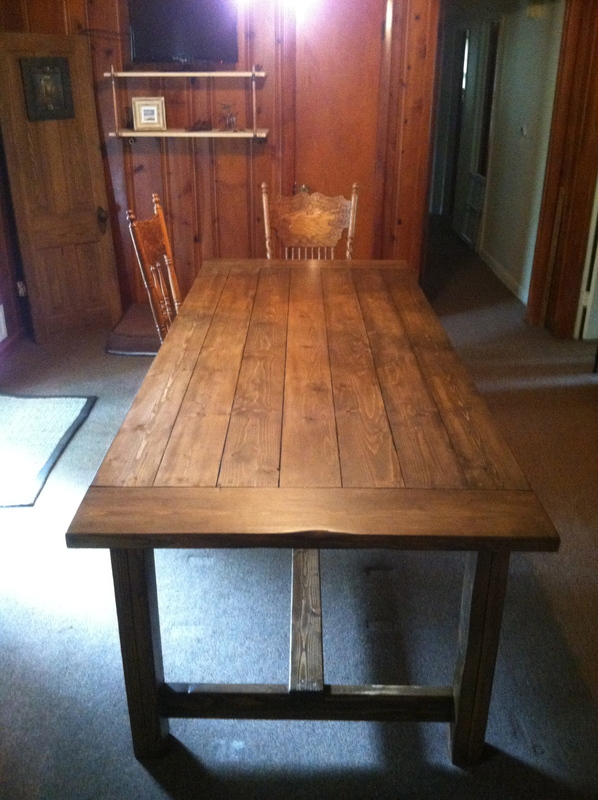 Lots of great memories will be created on and around our simple, rustic, functional farmhouse table. To learn more about building one yourself, click here. Do you have any DiY Preparedness Projects you’d like to learn about? Drop us a line in the comments or email us and we’ll get busy with a tutorial. 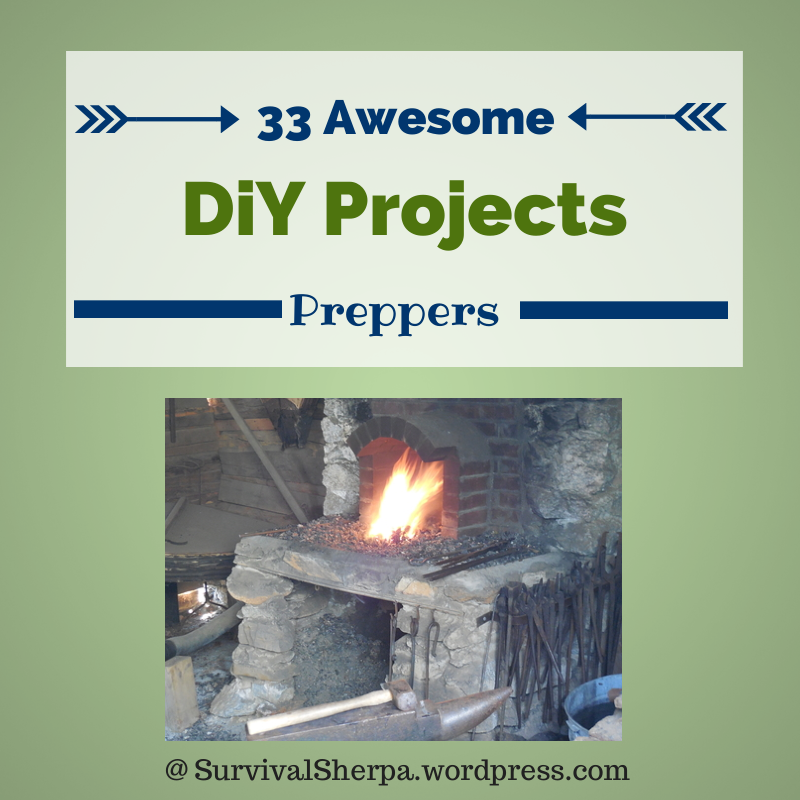 In the meantime, check out the other preparedness projects on our DiY Projects page. Ideas are always welcome.